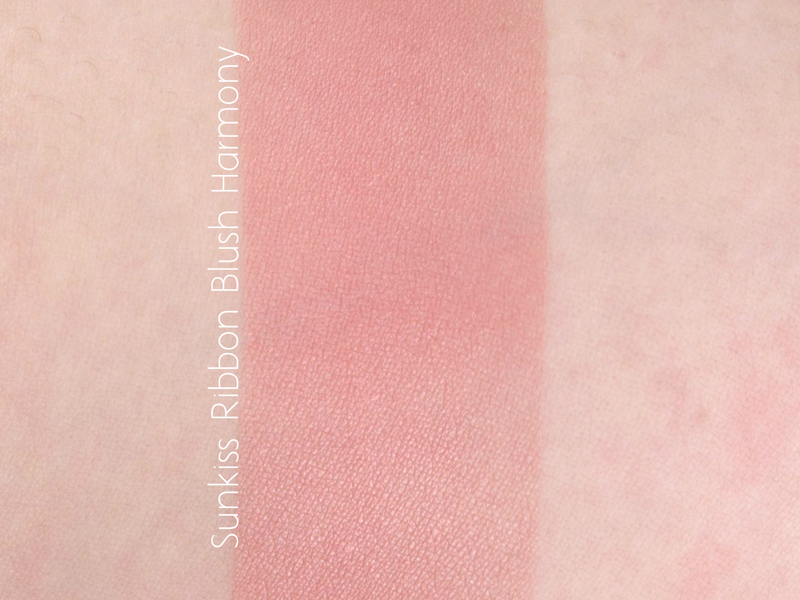 Undeniably the star of the collection, the Sunkiss Ribbon Blush Harmony is a gorgeous multi-color blush powder. 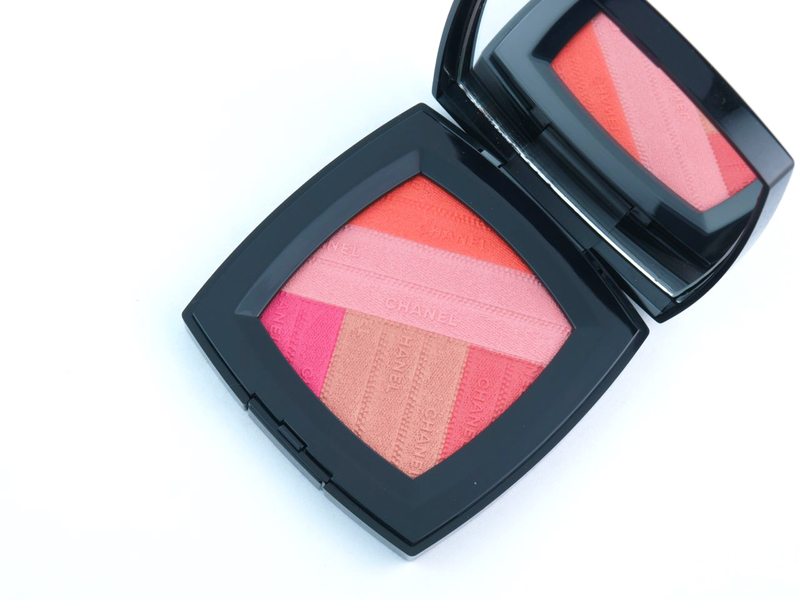 With splashes of hot fuchsia, bold orange, rosy pink, coppery beige, and soft coral, the blush is designed to be swirled together to create a soft and natural warm rose glow with subtle golden sheen. 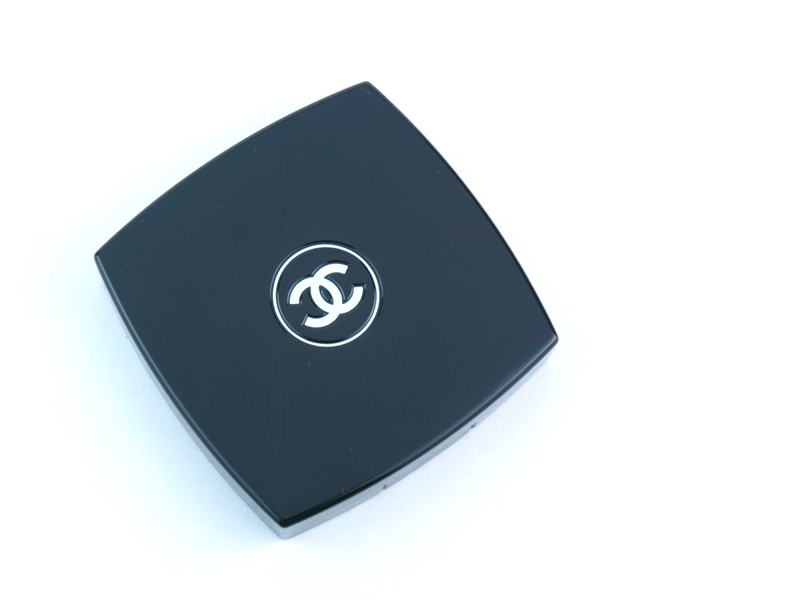 The shiny black compact holds a generous 11g of powder, divided up into the five different color blocks, each pressed with an exquisite ribbon design. 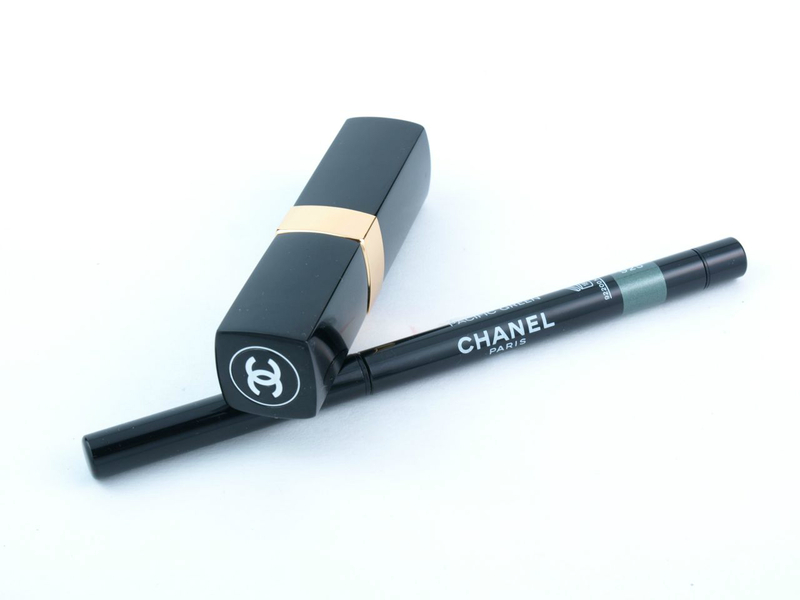 The formulation is absolutely wonderful; the powder is finely milled and wonderfully pigmented. The small blocks of individual colors are too small to be used used on their own so it's best to swirl a blush brush around the compact to catch a bit of all the colors. With a sleek and thin twist-up design (with a mini sharpener tucked away at the tail end), the Stylo Yeux in "925 Pacific Green" is a very pretty and sophisticated sea foam green. 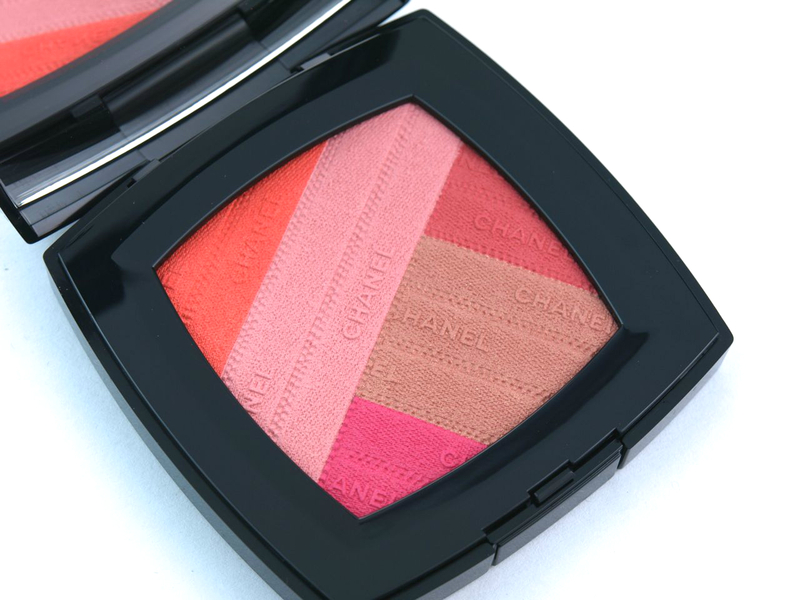 The formulation is quite sheer with soft flecks of golden micro-shimmers. 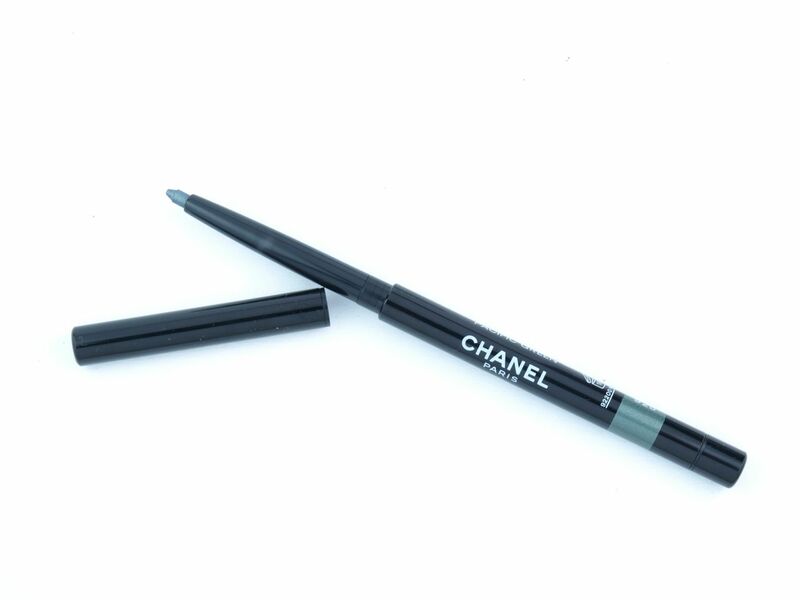 Although sheer, the liner applies like a gel, gliding effortlessly across the lid. The waterproof promise is no exaggeration as the color is smudge-proof and sweat-proof. I even had trouble removing it with Bioderma's micelle solution. 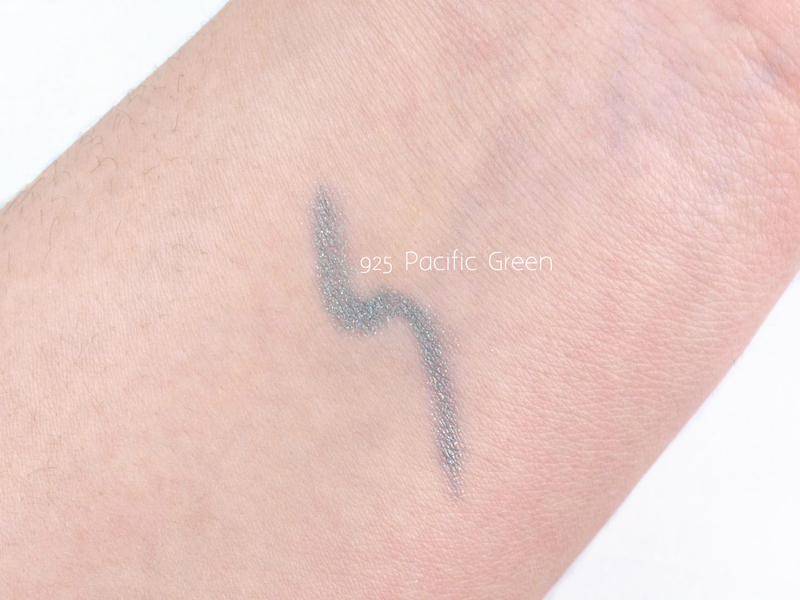 Stylo Yeux Waterproof Eyeliner in "925 Pacific Green"
Housed in a slim black and gold lipstick case, "116 Mighty" appears to be a super bright cool pink in the tube. 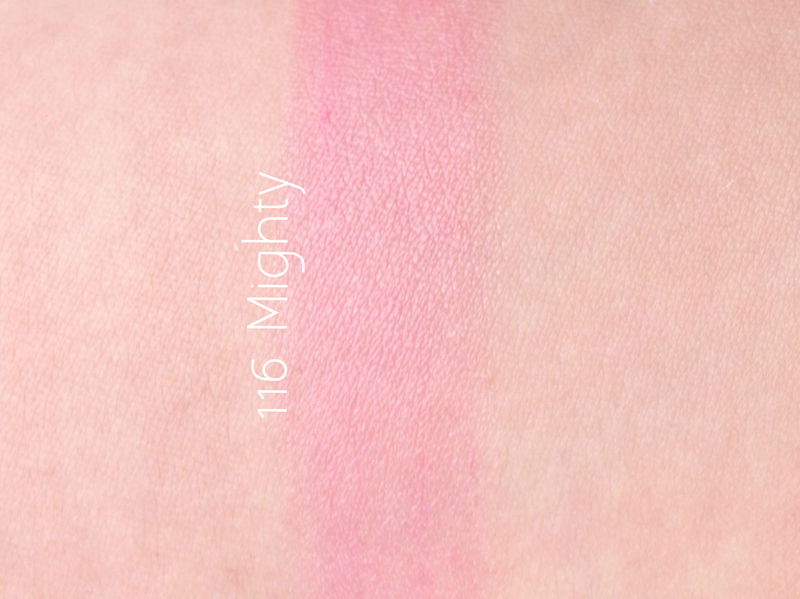 When swatched, though, this color is extremely sheer; one swipe barely registers any color. There are some very subtle shimmer particles but they are not noticeable when worn. The formulation is very moisturizing, slick, and lightweight with a natural sheen, but the wear isn't too great due to the sheerness and gel-like texture. Rouge Coco Shine Hydrating Sheer Lipshine in "116 Mighty"
This is a gorgeous deep violet polish with jelly finish. 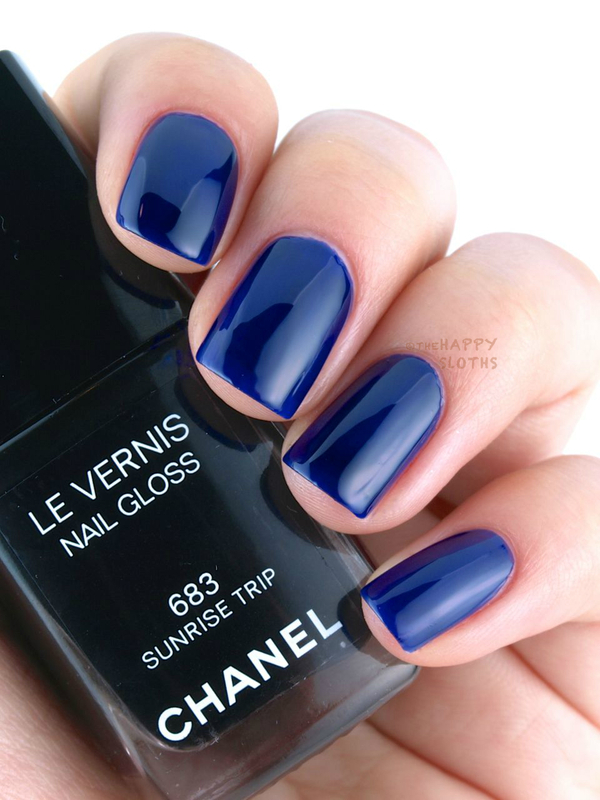 The formulation is semi-sheer so it has a squishy-looking finish. The polish is fairly easy to work with, but there is some patchiness due to the sheer coloration. I used three coats on some nails and two on the others. Le Vernis Nail Gloss in "683 Sunrise Trip"
Le Vernis Nail Gloss in "683 Sunrise Trip", two to three coats with no top coat. 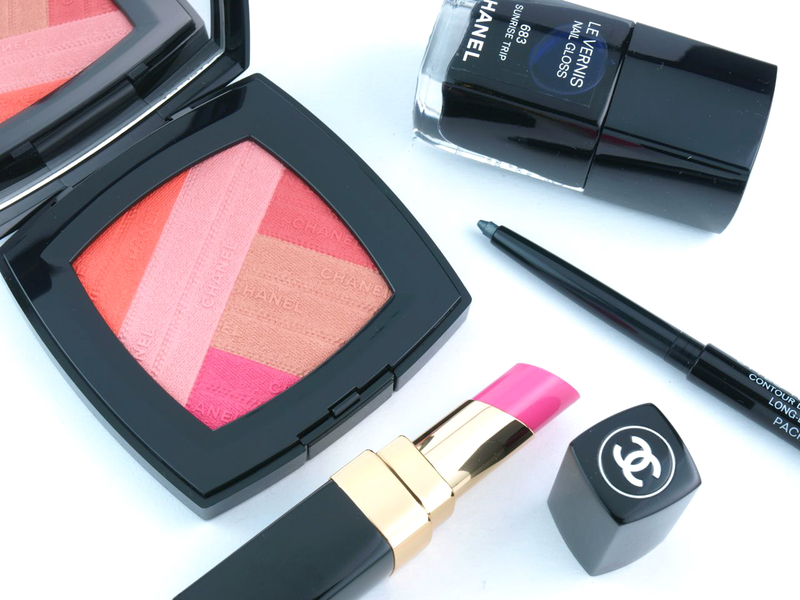 Chanel Spring 2016 Collection is available starting January 2016 at The Bay, Nordstrom, and Holt Renfrew.